All of my Rich Reflections for Doug Belshaw’s “Essential Elements of Digital Literacies” can be found here. In my Rich Reflection for Belshaw Chapter 4, I created my own version of a “progressively-encoded” and “sequentially-encoded” image. I used Wikimedia Commons for public domain images, Canva to make a simple collage, and Lunapic to pixelate the image. I hope to use these images below to help explain to students in my introductory political science courses that, while the course will be organized and intentionally designed, they shouldn’t expect concepts in political science to unfold in a neat, linear fashion. 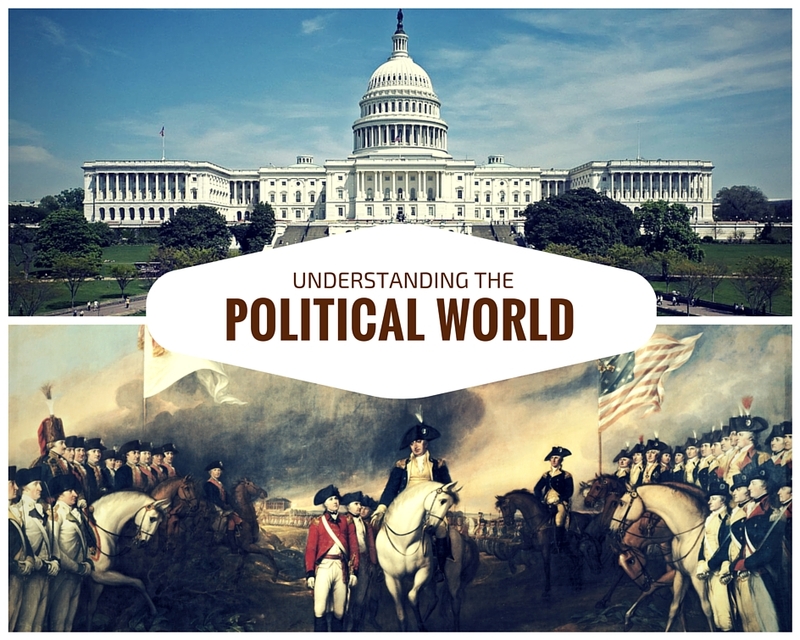 The political world is too complicated for that; instead of a linear path, we will work towards sharpening, adding detail, and correcting the “big picture” of politics that they already posses. “Our tendency in education in general is to package-up blocks of learning on a linear pathway. The learner literally does not see the ‘big picture’ of learning — only what comes next” (Belshaw, p. 38). Good representation, Valerie. This should help to explain that things can be messy and aren’t always clear or definitive. Perspective and culture can see events and practices in such different ways. Empathy or perspective is one element that is missing from Bloom’s taxonomy but can be found in other taxonomies like Wiggins and McTeague’s Six Facets or Dee Link’s Significant Learning. Being able to step back and look at a situation from a different perspective can really help understand why an event might have happened and what could have prevented it. I agree- sometimes it’s hard for students to manage the ambiguity of politics. It’s hard to fit even a single political event into a neat little box! I’ve read Wiggins & McTeague’s six facets and I appreciate the addition of empathy/emotional learning. At its core, social sciences are about people, so helping students connect emotionally with whatever it is they’re studying can be quite impactful. I’m not familiar with Dee Link’s Significant Learning so I’ll have to check it out! I don’t think that these kinds of taxonomies or learning strategies should be limited to only the social sciences. I think there is a place for them in all the disciplines, although it may be harder to envision. For example, in the field of Engineering, you might be able to design a structure but without taking into consideration how it impacts the people around the structure (both in the physical space and culturally) your structure may or may not serve that community well. Thanks for the link! I’m sure you absolutely could apply these taxonomies/learning strategies to all disciplines. It is interesting to consider, though, how your strategy for each discipline might look a little bit different.